There are certain companies and services that consumers feel very strongly about. Apple, for one, has always fostered a sense of community with its customers, and those customers remain loyal. 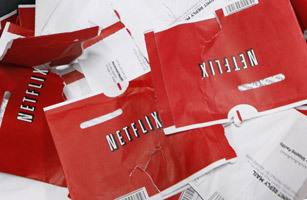 This year, Netflix made a series of business moves (some would say blunders) that left its customers feeling offended, hurt and even betrayed. First, it split its DVD-by-mail and unlimited-streaming package into two separate services, which equaled a 60% price hike for customers who wanted both services. Then it renamed the DVD-by-mail service Qwikster. The moves prompted tens of thousands of comments on Netflix's Facebook page, including some like this: Todays to-do list: #1. Cancel Netflix service. #2 Sell Netflix stock. #3 Call/email/write everyone I know and tell them to do the same. Within days, Netflix CEO Reed Hastings was backtracking and apologizing to angry customers. The Netflix outrage seemed to signal a shift in how consumers view themselves in regard to the companies they love  something that goes beyond the traditional client-business relationship  that may reflect the ties that social networking has fostered between companies and customers.